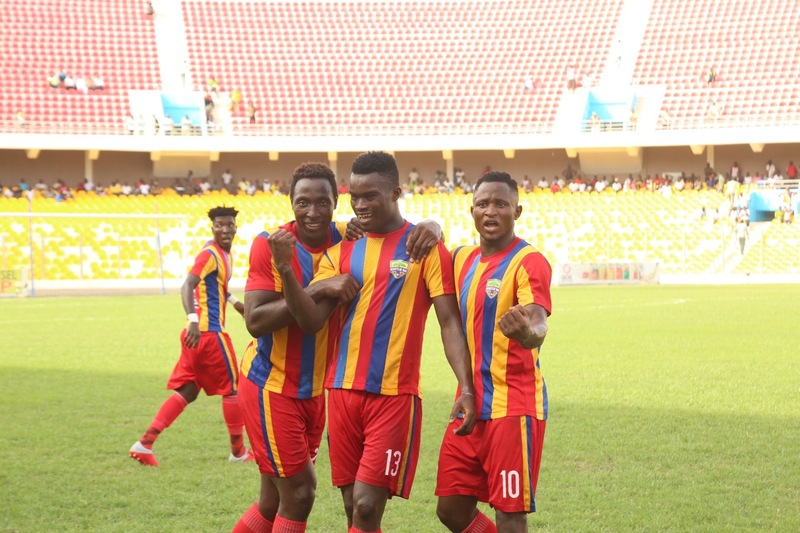 Accra Hearts of Oak made it two wins on the bounce with an impressive 1-0 win over Liberty Professionals in Week 5 of the Normalization Committee Special Competition at the Carl Reindorf Park. In what was expected to be a cagey affair, Hearts dominated early possession and went close twice through captain Fatawu Mohammed. First, his powerful close range header was superbly tipped over the bar by the Liberty goalkeeper, Fatao Alhassan, before he lashed unto a through ball from Benjamin Afutu moments later, only to see his tame effort cleared off the line by a Liberty defender. At that point it was a matter of when rather than if for Hearts of Oak, and they were rewarded two minutes before the break, when Kojo Obeng Jnr. headed in from a Christopher Bonney corner. Liberty started the brighter of the two after the break, and could easily have leveled the game straight from kickoff but for a Richmond Ayi save from a Simon Zibo strike after a defensive mix up in the Hearts area. Liberty continued to dominate the early second half possession, but struggled to carve open the Hearts defense. Hearts of Oak Head Coach Kim Grant made two changes midway through the second half to sure up the midfield, bringing on Malik Akowuah and Daniel Kodie for Benjamin Afutu and Manaf Umar. Those changes had the desired effect on the game, with Hearts continuing their dominance while dealing with Liberty’s threat on the counter. The Phobians were able to hold on to secure their third win of the tournament, and their first on the road, in the process, ending Liberty’s 100% home record.